A dog near and dear to the bride and grooms heart joins in during the wedding ceremony, complete with his own personal tie. Who said the dog isn't part of the new family? 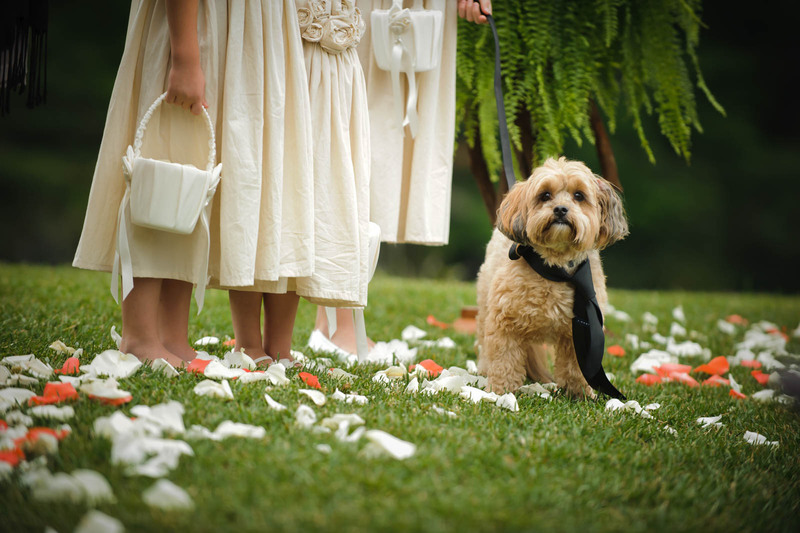 This little guy was so dear to the bride and grooms heart he had to be in the wedding as well. He walked with the flower girls down the ail and gave the moral support the bride and groom needed. He even dressed for the occasion with a new dew and his own little tie, just paw-fect.